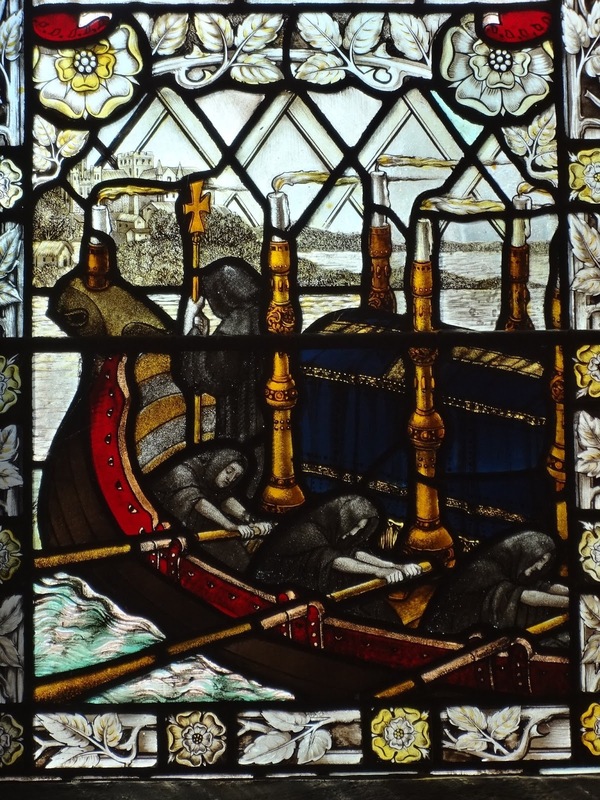 10 August is the date of one of the most famous battles in Anglo-Saxon history: the Battle of Maldon, fought between an English army and a force of Vikings on the coast of Essex in 991. Note that I said one of the most famous battles in Anglo-Saxon history, and not one of the most important; it's famous because it's the subject of a poem, but if it weren't for the poem we probably wouldn't see this as a particularly significant event among the many battles and skirmishes which culminated in the Danish Conquest of England in 1016. The poem is, however, so fascinating and so important in the history of Old English literature that it makes the battle correspondingly more interesting, and its anniversary more worth marking. The poem as we have it - 325 lines long - is fragmentary, lacking its beginning and end, so what we have focuses on the immediate prelude to the battle and the events of the fight; we don't know whether the poem originally provided more in the way of set-up or aftermath, context or explanation, and what kind of interpretative frame the poet might have given his account of the battle. The story as we have it is briefly this: a band of Vikings (nameless and unidentified, in the poem as it stands) have come to the coast of Essex, where they are met by the ealdorman, Byrhtnoth, and his men, a mixture of his own trained soldiers and others from further afield in Anglo-Saxon England. The Vikings demand money, and tell Byrhtnoth that if they get it they'll go away peacefully. Byrhtnoth returns a bullish answer, declaring that instead of paying tribute he and his men will fight to defend their land and the kingdom of their lord, King Æthelred. He allows the Vikings to come ashore from the island in the estuary on which they are encamped (as it turns out, a tactical error - the result either of high courage or of overweening arrogance, depending on whose translation of the OE word ofermod you believe). Battle commences. Byrhtnoth is killed, but his men keep fighting to avenge his death, their numbers and strength dwindling; the poem breaks off as we see them declaring their intention to fight on to the last, but even without an ending we know that they are going to lose the battle and die. One of the fascinating things about The Battle of Maldon is that it's one of the few Old English poems which can be fairly precisely dated, as it can only have been written within a few decades after the date of the battle; I think the latest date that's been proposed is in the 1030s, and it's usually dated considerably earlier than that. Since with most Old English poems we can only guess at a rough century of composition, this makes The Battle of Maldon special. 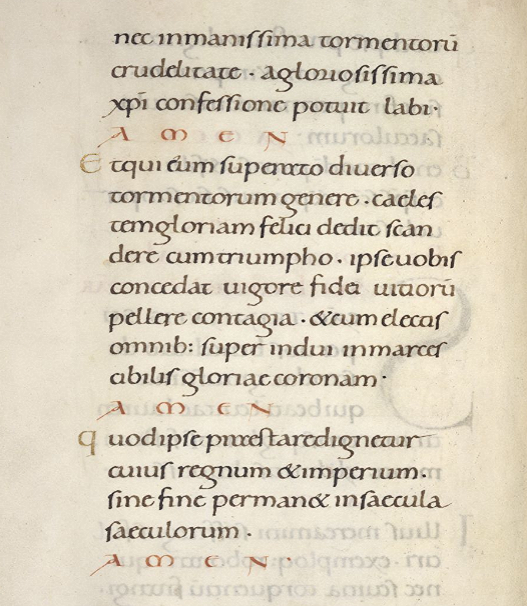 It's also unusual among Anglo-Saxon poems (though not, I should stress, unique) in dealing with specific contemporary events and people, some of whom may have been known to the poem's first audience. In this text we see the immediate past being suddenly transmuted into literature, which should produce for us a jolt of disquieting juxtaposition: these are ordinary modern-day men being talked about in the language of heroic poetry, a minor battle on the Essex coast being turned into an epic struggle between invader and defender, heathen and Christian. And this poem, for all that it seems to elevate its characters out of everyday life into the world of heroic literature, can't help but have an electric political charge: the question of how the Anglo-Saxon nobility should respond to Viking raids, the debate we see acted out in The Battle of Maldon, was a problem which only became more acute in the years after 991. 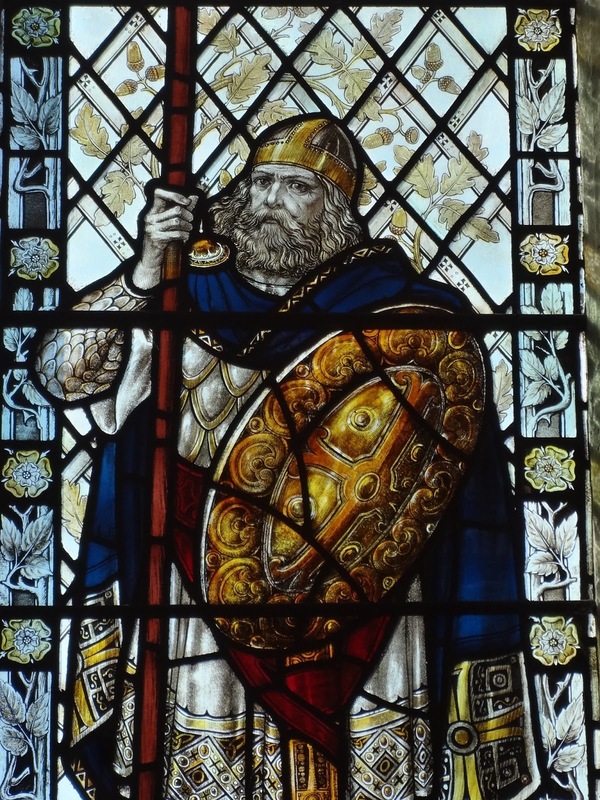 As Viking raids intensified, military and political leadership in England descended into chaos, reaching their nadir in the winter of 1013-14, when King Æthelred was forced to flee into exile and leave his kingdom to the triumphant Danish king Svein Forkbeard. (Svein may possibly have been fighting on the Danish side at Maldon, though the poem affects not to know the names of any of the Viking leaders.) The discussions in the poem about paying tribute vs. engaging in battle, or fighting to the death vs. fleeing to fight another day, or the loyalty a warrior owes to his leader, are thus not abstract theoretical debates but questions of the utmost importance and contemporary relevance. The poem commemorates the men who died at Maldon but it also uses their deaths to intervene in an ongoing debate, to offer implicit commentary on the conduct of the living as much as of the dead. Where exactly you choose to date and place the poem in the decades after 991 makes a difference to how you read it, but any way you look at it, the actions of the characters in the poem, praised or condemned according to the poet's own agenda, are there to be interpreted, read, judged. And what they say is as important as what they do; several characters draw our attention to the disparity between what people boast they will do and what they will actually perform, which seems not just a commentary on the relationship between words and deeds (an abiding concern in heroic poetry) but an acknowledgement that this poem itself turns deeds into words, battle into language, history into poetry. "Gehyrst þu, sælida, hwæt þis folc segeð? þa heregeatu þe eow æt hilde ne deah. on urne eard in becomon. grim guðplega, ær we gofol syn." "Do you hear, seaman, what this people are saying? war-equipment which will not help you in battle. so far into our country. fierce battle-play, before we pay tribute." Besides the rhetorical flourish of 'weapons in place of tribute' (the kind of riddling substitution at which Anglo-Saxon poets particularly excelled), the emotional pull of this speech is exerted by ideas of territory, land, and boundaries, real and psychological. Byrhtnoth persistently calls the Vikings 'seamen' and 'sailors', creatures of the waters, while he and his men belong to the land - and the land, therefore, belongs to them. He talks about defending eþel þysne 'this homeland' and urne eard 'our land', highly emotive language, and he links the land on which the Vikings are encroaching to the very name of the English king - how could this eþel be anything other than Æthelred's land? The picture is of a strong, united England behind Byrhtnoth where he stands, unafraid, on the coast of Essex, ready to repel the unrighteous raiders who have come from the sea. This is fantasy. King Æthelred was no great symbol of national unity - controversial from the very beginning of his reign, and if not quite as tyrannical, weak and unpopular in 991 as he was later to become, already well on his way to earning the nickname Unready ('bad-counsel', unwise) by which he has become known to generations of schoolchildren. Byrhtnoth is not on firm ground in staking his appeal to national unity on Æthelred, and surely the poet and his audience knew this. It's rhetoric, not reality; but that doesn't mean it's not true, or that it would not be a powerful idea to which to appeal. Does a king have to be a good king for his name to be an inspiration? I wonder. Coming to this poem after a week in which the news has been full of the anniversaries of World War I, as well as so many present-day conflicts, it's tempting to read the poem in light of the wars whose stories and myths are so familiar to us. This is almost unavoidable, I think, and not entirely illegitimate: generations of scholars who lived through the wars of the twentieth century have read The Battle of Maldon under their shadow. (Tolkien's 'The Homecoming of Beorhtnoth Beorhthelm's Son' is one good example.) So I'll now proceed to be shamelessly anachronistic for the rest of this paragraph, because the poem is commemorative story-telling as powerful as any Remembrance Day service, and perhaps some contemporary examples will illustrate that. Byrhtnoth's rhetoric is remarkably close to the kind we now call Churchillian: standing on a beach (or is it a landing-ground?) to proclaim his defiance to the invaders, he seems only one step away from declaring "we shall defend our island, whatever the cost may be". But in trying to read the poet's attitude to the events he is recounting, the resonances are sometimes thought to be with another war-narrative familiar to a modern British audience - the 'lions led by donkeys' of the First World War. The references to Æthelred have been interpreted as deeply and bitterly ironic, intended to signal to us that this battle is ill-conceived, futile and doomed to failure (the later you date the poem, the more plausible this reading is). Byrhtnoth too has come in for a great deal of criticism, mostly for allowing the Vikings to cross the causeway (because of his ofermod) but also for his belligerent rhetoric and his loyalty to Æthelred. It's possible - I personally wouldn't do it, but it's possible - to read the poem as one long cynical attack on what happens when loyal soldiers have their devotion abused by arrogant war-mongering leaders. That would make the poet of The Battle of Maldon, I suppose, something like the Siegfried Sassoon of Anglo-Saxon war poetry. To me, this reading undermines too much of the poem to be sustainable, but I think the poem is aware of the gap between Byrhtnoth's rhetoric (and all the soldiers' grand speeches) and the reality of the war they're fighting. I'd interpret the poem as engaging in the production of a fiction which stands at one remove from contemporary reality - while, as I said earlier, intervening in a live contemporary debate - to paint a picture of how people can and should behave in a crisis, thoroughly conscious that sometimes they can't and won't. Their inability and unwillingness doesn't ultimately undermine the power of the poetic fiction, which is close enough to truth to be effective. The poem shows us an ideal world, but not an idealised one - what the world could be, but isn't now. 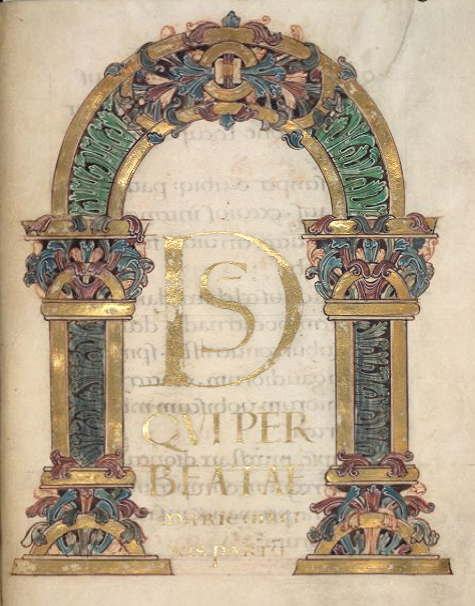 þe on Denon wolde dom gefeohtan. bord to gebeorge, and wið þæs beornes stop. ægþer hyra oðrum yfeles hogode. and þæt spere sprengde, þæt hit sprang ongean. wlancne wicing, þe him þa wunde forgeaf. þæt he on þam færsceaðan feorh geræhte. ðæs dægweorces þe him drihten forgeaf. þurh ðone æþelan Æþelredes þegen. who wanted to win glory against the Danes. with his shield for protection, and moved towards that man. each intended evil to the other. and the spear shattered so that it sprang back. the proud viking who had given him the wound. so that he reached the life of his sudden assailant. for the day’s work which the Lord had given him. ealra þæra wynna þe ic on worulde gebad. þæt hi helsceaðan hynan ne moton." 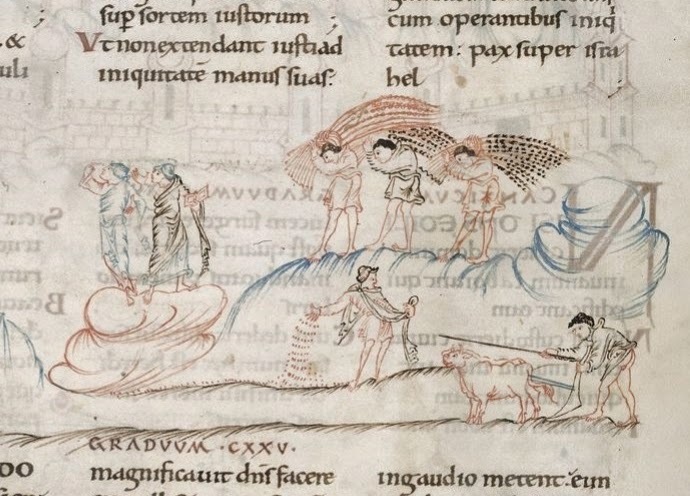 ða onemn hyra frean feorh gesealdon. for all the joys which I have experienced in this world. that the fiends of hell may not injure me!" they gave up life alongside their lord. nu mæg cunnian hwa cene sy. he wæs ægðer min mæg and min hlaford." now we may learn who is brave! a wise ealdorman, prosperous in the world. he was both my kinsman and my lord." wrecan on gewinne minne winedrihten. avenge in battle my friend and lord. No sign here of Byrhtnoth's declaration that they are fighting for king and country; these men are dying for loyalty and duty alone. It is a hopeless but - the poem would have you believe - a noble sacrifice; they declare they would rather die with Byrhtnoth than live with the dishonour of retreat. frean on folce, ne for feore murnan." may not flinch or think of fear." mod sceal þe mare, þe ure mægen lytlað. se ðe nu fram þis wigplegan wendan þenceð. be swa leofan men, licgan þence." mind must be the greater, as our strength diminishes. from this battle-play will always regret it. by the man so dear, I intend to lie." It was an old-fashioned attitude even in the tenth century, the language of heroic poetry and not of real life; but at least one poet thought it noble - something to aspire to, perhaps something to inspire. It seems possible that this poem was written at Ely, where Byrhtnoth was buried and commemorated. (I should note that the date 10 August for the battle comes from an Ely calendar; other sources give slightly different dates.) 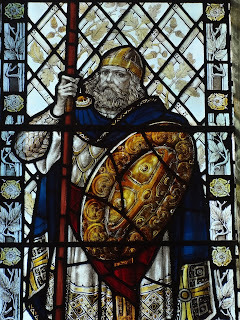 An Ely chronicler, writing some 150 years later, recorded how Byrhtnoth was still honoured as a local hero there, and tells a story about how Ely provided hospitality for the English army on their way to Maldon, claiming that Byrhtnoth had previously tried to have his men accommodated at Ramsey Abbey. 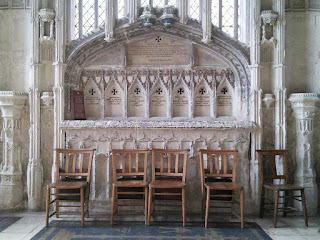 At Ramsey the monks offered him food for himself and only seven of his men, but in reply, the Ely writer claims, "he is said to have made the elegantly phrased response: 'Let the lord Abbot know that I will not dine alone without the men you refer to, because I cannot fight alone without them'." 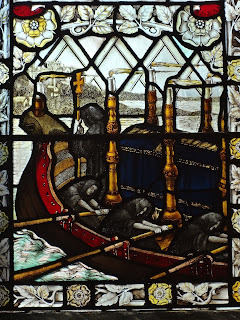 Very much in the spirit of the poem, and bearing probably about as much relationship to the reality of what happened at Maldon in August 991. 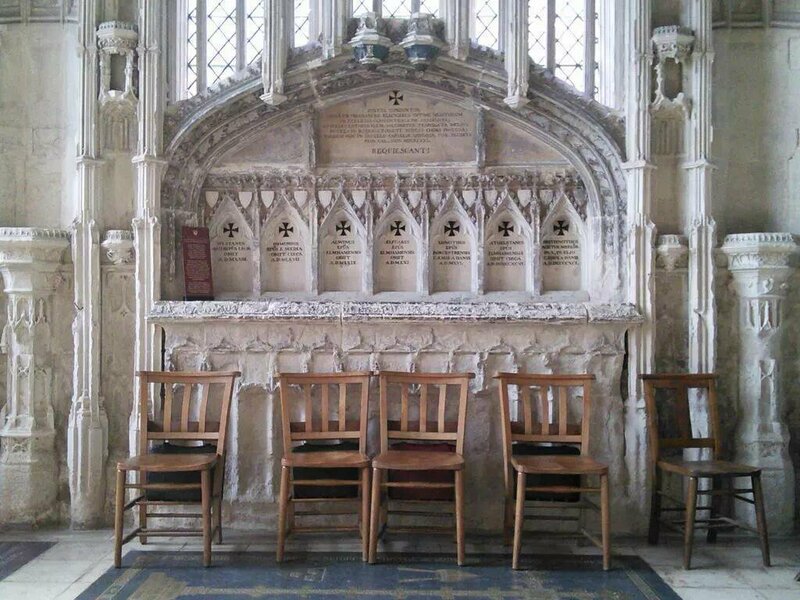 Luckily the monks of Ely were more generous than those of Ramsey; as well as feeding Byrhtnoth and his men, they buried him after the battle in what is now Ely Cathedral, where he was held in great esteem as a benefactor of the church. His widow Æthelflæd was supposed to have made and given to Ely a wall-hanging embroidered with her husband's deeds - it's tempting to imagine something along the lines of the Bayeux Tapestry. But of course it's the poem which is Byrhtnoth's best memorial. 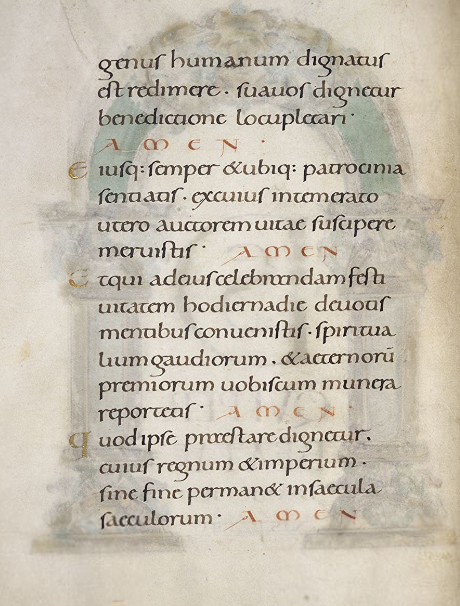 This year I've been posting at intervals extracts from the Old English poem known as the Menologium, a tenth-century poem which catalogues the months of the year, describing their characteristic seasonal features and saints' feasts. The sections for riotous May and the bright sun of June can be found in the posts A May Miscellany and 'Se lengsta dæg': The Anglo-Saxon Solstice. In this poem the month of July gets only six lines, mentioning no distinguishing events except the feast of St James; but nearly thirty lines are devoted to August, the month of Lammas and the harvest, and of several important saints' days. So let's take a look at how this poem describes the month which is called in Old English Weodmonað, 'weed-month', the month of long grasses. In Old English weed doesn't necessarily suggest an unwanted plant, only a wild and uncultivated one, so the name evokes the season's rampant growth in meadow, wood and hedgerow; and this is echoed, as we shall see, in the poem's interest in exploring growth and fruitfulness. The text is from here (ll. 136-162); the translation is mine. 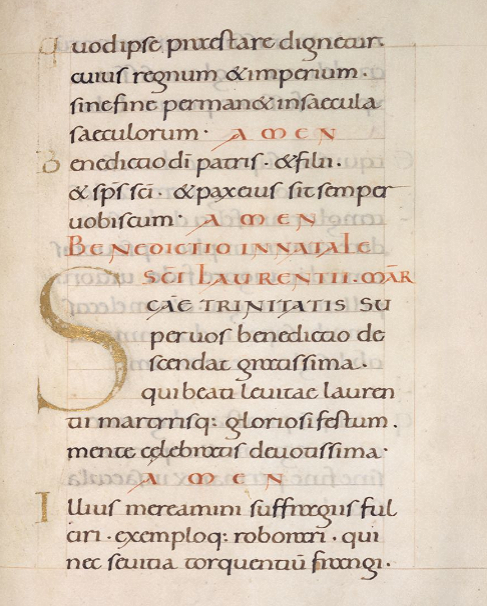 For another Anglo-Saxon text about Lammas, see Latter Lammas and Second Shoots. with the Father of Glory, a reward for his works. of man and woman in this world. To begin at the beginning: the description of the harvest here is beautiful. In hlafmæssan dæg you can see another instance of the etymology of Lammas (as I said before) in the wild; the name comes from Old English hlaf, 'loaf' + mæsse, 'mass', from the custom of blessing loaves of bread made from the first corn of the harvest. Yet despite its markedly Anglo-Saxon name, the poem reminds us that the feast comes to yrmenþeodum 'all peoples, nations everywhere'. The opening of the extract describes the transition from summer to autumn (hærfest is the name of the season as well as the harvest itself): after a period of summer's brightness (sumere gebrihted), the harvest comes, wlitig, wæstmum hladen, 'bright, laden with fruits', and the earth reveals its wela - its plenty, abundance, riches. It's remarkable that centuries before William Blake praised 'Autumn, laden with fruit' and John Keats described how Autumn conspires to 'load and bless with fruit the vines that round the thatch-eves run' (in poems imaginatively titled 'To Autumn' and 'To Autumn', respectively) the Anglo-Saxon poet could write about autumn as wæstmum hladen, 'laden with fruits'. Nine hundred years of English poetry separate them, but they landed on the same word. I think we can trace something of autumn and harvest running through the rest of the passage, too. In this poem you get at most a few lines of pen-portrait to describe each saint's feast, so it's a highly allusive and compressed style of description, packed with meaning. Every detail and every word has been carefully selected. So it struck me as interesting that in the descriptions of both St Lawrence and the Virgin there is an emphasis on the 'reward', lean, they receive for their deeds - for Lawrence's loyalty, the Virgin's 'fostering' of her divine son. There's a focus on the idea of repayment, of Christ presenting them (might one say?) with the fruits of their labours. And we also learn that the Virgin's reward is eternal life in neorxnawange. This is one of the oddest-looking Old English words; its etymology is obscure, but it means 'Paradise', usually in reference to the Garden of Eden. The second element wange means 'fields, plains', and in Old English poetry the word seems to connote greenness and open space (see the discussion of neorxnawange in Ananya Jahanara Kabir's Paradise, Death and Doomsday in Anglo-Saxon Literature, on Google Books here). The poet has chosen the most botanical word he could find for the setting of the Virgin's harvest, her life on the fields of Paradise. We could take this a little further: John the Baptist's death is said to be widely geypped, which means 'made known, proclaimed' but can also refer to flowering and production of fruits - a general sense of 'bringing forth' is the key idea. And the detail the poet chooses to attach to St John is not his death (the actual subject of the August feast) but the fact that he sprinkled Christ with water, mid wætere oferwearp, like some kind of saintly gardener. This might be reading a little too much into it - though I'm not actually sure it's possible to read too much into the glorious complexities of Old English poetry - but I think we can detect a general musing on ideas and images of spiritual fruitfulness, production, yield, and harvest. 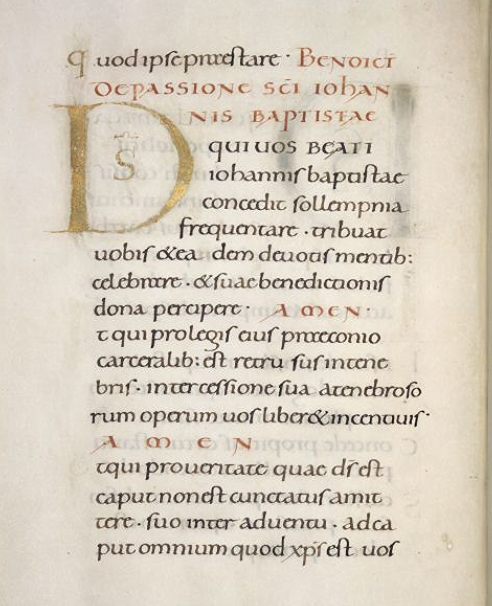 As well as being Lammas Day, 1st August is also the anniversary of the death in 984 of Æthelwold, monastic reformer, educator, and influential Bishop of Winchester, under whose auspices this poem may have been composed. (Æthelwold has actually been suggested as a possible author of the Menologium.) 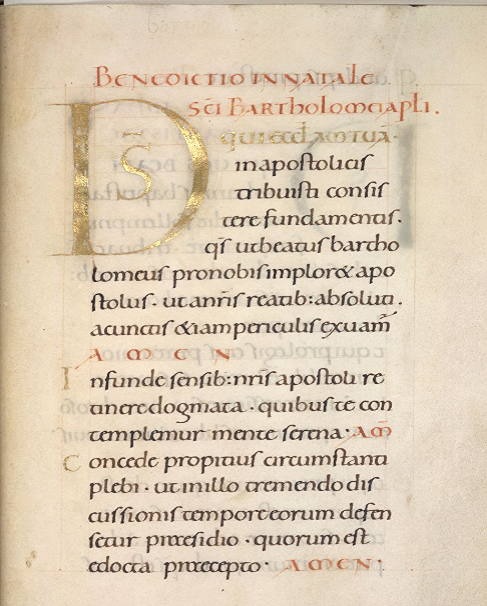 To celebrate this pleasing coincidence, we can close by looking at how the month of August appears in another product of Æthelwold's Winchester: the Benedictional of St Æthelwold (BL Additional 49598). 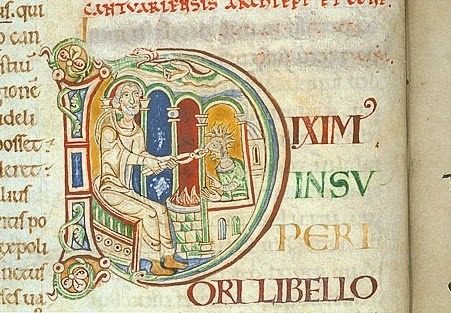 This manuscript of blessings, made for Æthelwold's own use, covers the cycle of the ecclesiastical year, and so here we are almost seeing how August might have looked through his eyes - how the month ahead might have been shaping up for the bishop at the beginning of August, in Winchester, around the year 980. Steffen Hope of My Albion and I are putting together a session at next year's Leeds International Medieval Congress on 'Renewal in the Cults of Saints, 1050-1300'. 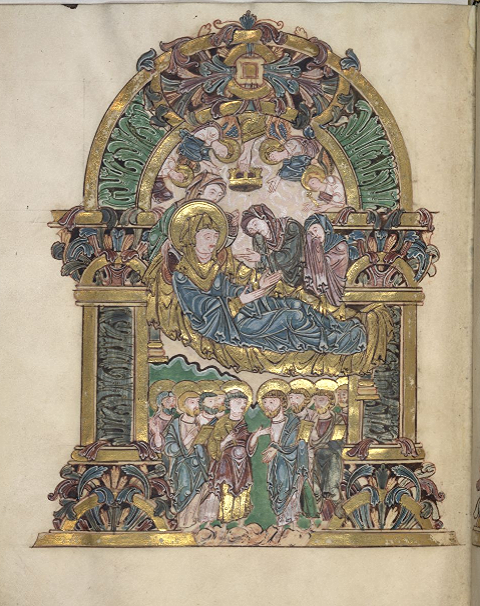 If you work on saints in this period and are interested in giving a paper, get in touch! The Call for Papers is below. Papers dealing with renewal in the cults of Anglo-Saxon or British saints in this period will be particularly welcomed. Proposals for papers of 15-20 minutes should be sent to steffenabhope@gmail.com or eleanor.parker@ell.ox.ac.uk by 25 August.